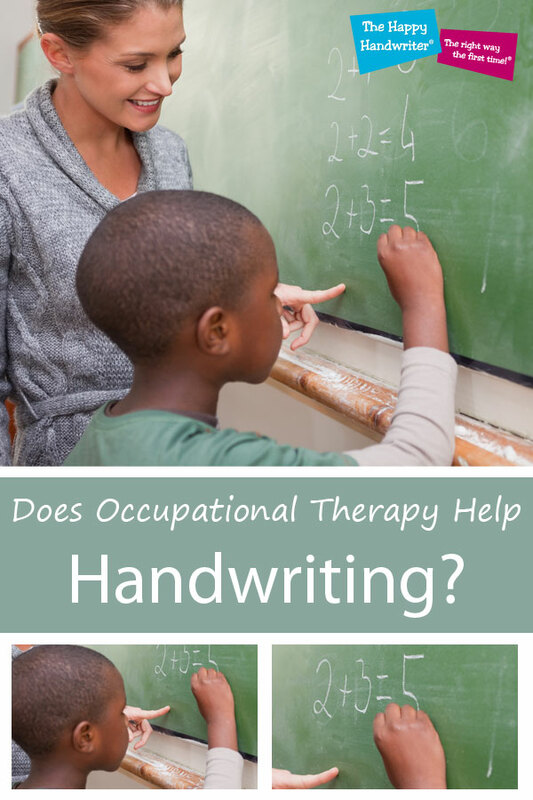 Does Occupational Therapy Help with Handwriting? By the time our children enter Grade 1, they have usually learned to write their names, and may be able to write letters and numbers. The more advanced amongst them will even be able to write words and sentences. But for the most part, handwriting is the domain of the Grade 1 classroom. Our teachers teach letter formation and, with time and experience, our children learn to put those letters together to form words, and words together to form sentences. So, if teaching handwriting is the domain of the teacher, how does occupational therapy help with handwriting and where does it fit in? Some children take to handwriting like a duck to water, while others seem to be slow starters. With time, some of the slow starters catch up, while others never quite seem to conquer the challenges of handwriting. A few schools offer extra handwriting classes but more often, handwriting challenges result in the teacher suggesting occupational therapy. What is occupational therapy and how can it help with handwriting? Occupational therapists work on everything that a child has to do, and wants to do, to give their lives meaning and purpose. Some of the children who are struggling with handwriting really want to be able to do it, while others just hate it, which then puts it into the “has to do” category. Occupational therapists (OT’s) work in a diverse range of fields so you need to find an OT who specialises in working with children. In addition, some OT’s prefer working with different aspects of child development, so you will be looking for one who has an interest in fine motor skills and handwriting. The school will often give you the names of occupational therapists in the area. Many schools have occupational therapists who work from the school premises. You as a parent always have the choice as to whom you consult. The school should give you three names from which to choose. However, you are not obliged to choose an OT from the list, you may go to any OT you choose. Ask around, do your research, and choose a therapist who you think will be a good fit for your child. The occupational therapy process will begin with an occupational therapy assessment. The therapist will usually offer a comprehensive assessment covering all aspects of visual-perceptual and motor development, and not just an occupational therapy handwriting assessment. 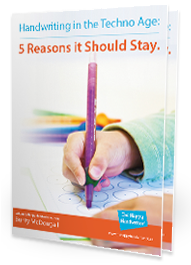 It is their goal to establish the underlying reasons why your child is struggling with handwriting. For the most part, handwriting usually only goes wrong if either there hasn’t been sufficient time afforded for teaching, or, if the child has some aspect of development that is shaky and doesn’t support the handwriting learning process. 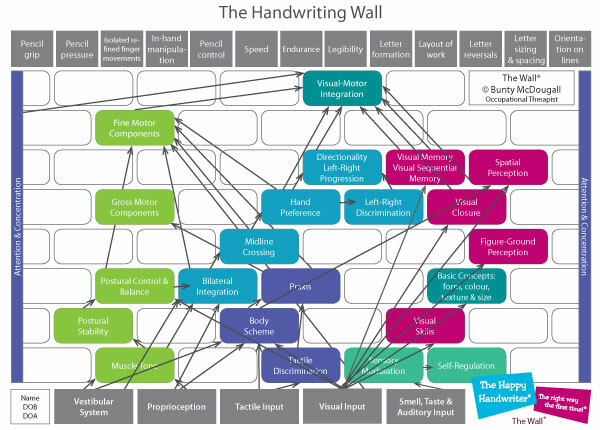 The Wall below shows some of the underlying visual-perceptual and motor components for handwriting. 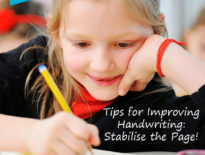 Handwriting is a complex skill which is underpinned by numerous developmental foundations. Your child’s therapist will establish where the handwriting foundations are well established, and where they are shaky. They are looking to see which bricks in The Wall are intact and which are behind expected developmental norms. This will enable your therapist to understand why your child is struggling with their handwriting. Your therapist should explain all this to you, and will go on to make recommendations. The occupational therapist will then be able to establish occupational therapy handwriting goals. The answer to this is that for the most part, yes it does help improve handwriting. We have to remember that all children are different. Some progress quickly, while for others is it is a long steady process. Some children achieve remarkable progress in handwriting. 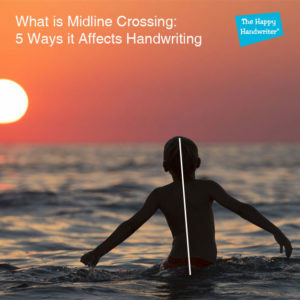 Working on and developing the underlying components for handwriting, along with specific handwriting support, can transform a child’s handwriting. Other children are not so lucky. Sometimes small improvements are achieved, after which the child’s progress seems to plateau. Progress is certainly supported and accelerated by incorporating specific fine motor activities (if this was an identified problem) at home. The Fine Motor Fun kit is a collection of fine motor activities that target the specific muscles for the development of the movement patterns for pencil grip and handwriting. 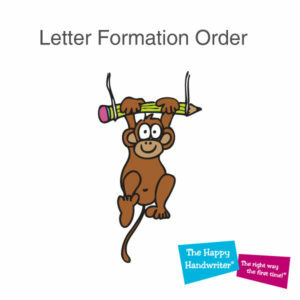 In addition, research has shown that working on letter formation has a significant impact on handwriting development. While home support of the therapy process is highly beneficial, it is critical that this is done in conjunction with your child’s therapist. Your goal will always be to work in collaboration with your child’s therapist. For the most part, children love the therapy process. Children learn while they are having fun, and a skilled therapist will ensure that your child has their fair share of fun, along the way. In The South African context, occupational therapy for handwriting has historically only been available to the privileged. This needs to change. We know that early grapho-motor (handwriting) skills in preschoolers have a direct impact on the mastery of the reading process. In addition, they have a direct impact on maths performance in Grade 2. We cannot underestimate the importance of handwriting skills. Our children across the diverse spectrum of our country deserve to have access to these foundational skills that will shape their scholastic performance. Handwriting groups run by occupational therapists have shown unprecedented results and have been applied highly successfully in the less privileged setting. While the teaching of handwriting will always be the domain of the teacher, occupational therapists have specialised skills in child development and are ideally positioned to offer support when a child is struggling to master the handwriting process. This content may not be reproduced in any form without written permission from the author.